A passionate team, committed to the personal growth of our youth. Passionate about tackling inequality, after 25 years working in public, commercial and non-profit organisations - including spells as a Lambeth Councillor, public affairs consultant and secondary school teacher - Abigail founded We Rise to make an impact in her community. David just loves young people. 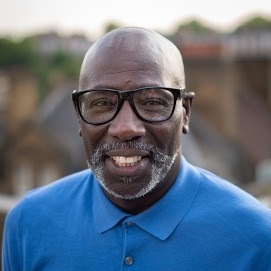 A former youth worker, sports coach and lead Mentor for Westminster Secondary Schools he has 18 years experience delivering effective alternative programmes that raise motivation, aspirations and develop positive behaviour. James co-founded We Rise to innovate careers education. He has 14 years experience developing employability programmes for 11-19 yr olds in inner city schools and PRUs. He was closely involved in delivering a DWP funded Employability Passport for 11-16 year olds. A Brixton creative at heart, Polly is a qualified Architect with 20 years experience designing, managing and delivering architectural projects across London. She has a detailed understanding of the construction industry and project based working. 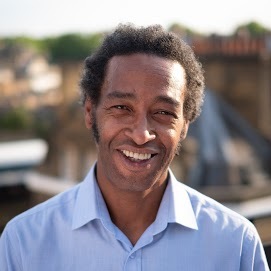 A former Apprentice, Reece now leads projects for Brixton Business Improvement District and builds relationships with a huge range of local organisations large and small. A familiar figure in Brixton he is often to be found networking at local events. He grew up locally and still lives in Tulse Hill. A self confessed people person, Estella has 15 years experience helping companies grow. She is currently Head of Talent at Blockchain start-up Clearmatics. Delivering "HR for the digital age" she specialises in developing company culture and recruiting the best talent for start-up and rapid growth companies in the tech sector. A Brixton based film Director, Ray tells stories through film. He has collaborated with many local organisations like Makerhood and Afawee. Ray also teaches film-making to young and vulnerable people. Emma is passionate about giving young people opportunities to experience the world of work and does this as part of her day job as a Corporate Responsibility Manager at an insurance company. She is also responsible for diversity and inclusion at her workplace, an issue she is equally passionate about. Emma lived in Lambeth for 20 years and is a school governor.